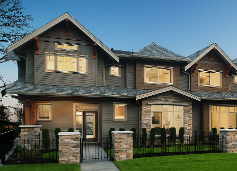 Located in Coquitlam’s Foothills at Burke Mountain, Secret Ridge is one of the nicest collections of townhomes Burke Mountain has to offer. Craftsman style homes with all of the upgrades, spacious floor plans and large double garages make this development highly desireable. Each home includes a designer kitchen with granite countertops, shaker cabinets, undercounter lighting, stainless appliances and pantry. A spa-like ensuite bath is sure to please and these homes were built with storage in mind!